Quality is the most important factor of apartment cleaning and Nova Contractors strives to provide you with the best cleaning service you can find. This page explains our company’s service and dedication to detailed cleaning. 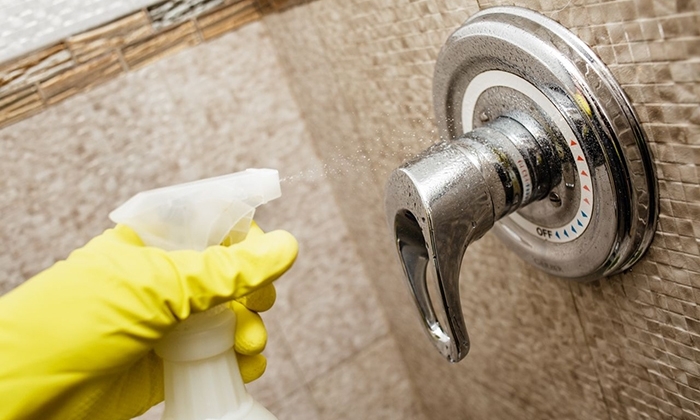 All cabinets, countertops, cabinet faces, drawers, shelves, and pantries are cleaned and wiped down safe cleaning agents. All countertops, cabinets, drawers faces, refrigerators stoves are wiped down with an all-purpose cleaner upon completion of work to remove soap film. Cleaned and disinfected the dishwasher along with the shelves and door seals. Kitchen exhaust fans/vent hoods and filters will be cleaned of grease and dust. All paper shelf liners will be removed. All sinks and fixtures are wiped down with all-purpose cleaner and stainless steel sinks are wiped down with baby oil (optional). All light fixtures have globes or covers removed and cleaned. All floors are stripped (if needed) and cleaned. Electric stoves are pulled out and cleaned behind, under, and along the sides. If there is grease or dirt on the sides of the cabinets, that is cleaned also. Gas stoves will remain attached for safety reasons. Inside and outside thoroughly disinfected (additional charge). Door seals and shelves (top & bottom) are cleaned and disinfected. Refrigerator is defrosted if not frost-free. Unit pulled out and cleaned underneath, from behind, and along the sides. Bath vanities, countertops, sinks, drawers, commode, bath tubs, towel racks, etc. are to be cleaned with a cleaner, a disinfectant, and then wiped down with glass cleaner. Floors will be degreased and cleaned with GLO-COAT brand or similar cleaning agents. If it is a ceramic floor, bleach will be used. All light fixtures are to have the globes or covers removed and cleaned. All paper liners in bath vanities/cabinets are to be removed. Removal of all bath tub stickers and any reaming adhesive. Clean insides and shelves of medicine cabinets with bleach cleaner. Ceramic tub enclosures cleaned with a bleach non-abrasive cleaner. Sliding glass doors and tracks are cleaned inside and out. All windows cleaned from interior. Clean all accessible exterior windows. Clean all exterior light fixtures on balconies or front porches. All window frames, windows sills, and window decals. Use oven cleaner to remove any window decals that cannot be scraped off. Patios and storage areas swept and cleaned of debris. All closet, bookcases, and linen shelves wiped down. All register covers filter covers, switch plates and cold air return grills are to be washed, disinfected, and cleaned.